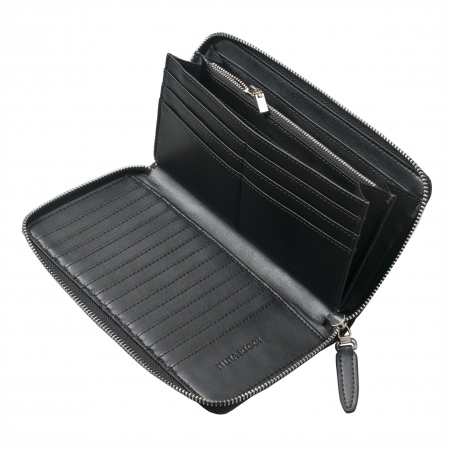 The RAMAGE travel companion from NINA RICCI is the ultimate travel wallet. 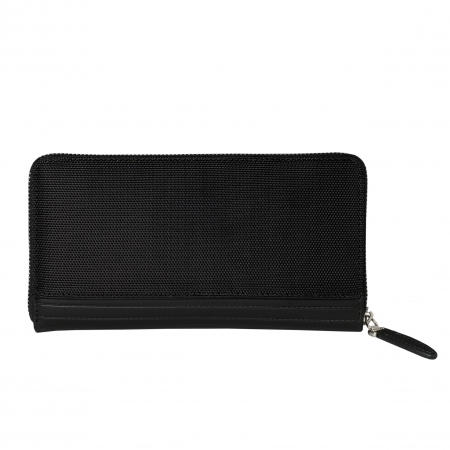 This men’s / unisexe travel wallet offers you almost unlimited possibilities to store your credit cards with over 20 cards compartment. The travel wallet offers many options for note bills & coins. 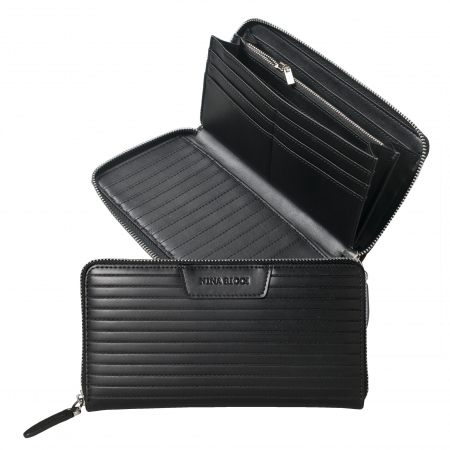 The external material is made from a very high quality smooth black leather stiched with an horizontal pattern giving it a very modern & fashionable look. 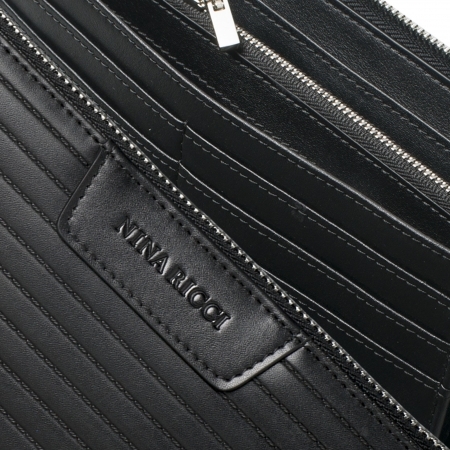 The color is black with the external and internal zippers in chrome color. 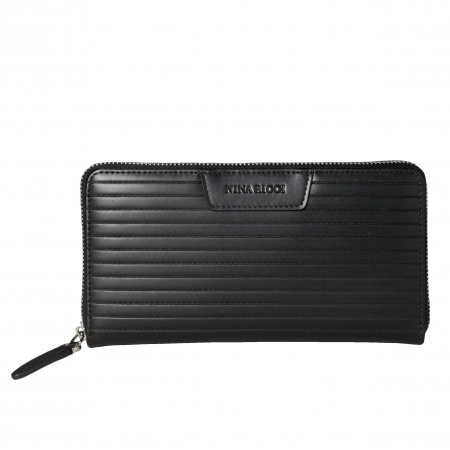 The logo from the famous fashion brand is embossed tone on tone on a distinctive black leather label stiched on the front side of the travel wallet.